Most of the website owners out there don’t really know what the word “keywords” actually means. They think that keywords are simply the words or phrases that represent the products and services they offer. This thing is obviously not totally right. Well, mostly when we are talking about keywords related to a website we actually mean keywords for SEO purposes. Most of the people don’t do a SEO keyword research before deciding the keywords for their website. Search engine marketing is an online marketing strategy that helps a website gets more traffic by enhancing its visibility on search engines. 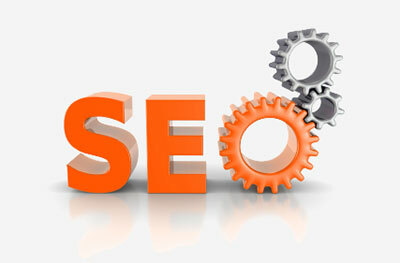 This is done by search engine optimization (SEO). Getting traffic through search engines has become really tough. Most small business owners think that by simply launching a website, they’ll automatically start getting traffic through search engines. Now you have to carefully optimize your website, by researching and picking the right keywords, implementing those keywords, creating incoming links, and monitoring keyword and traffic performance. If you are in a field that has highly congested keywords, then you should focus on some other online marketing strategy other than search engine marketing. There are many ways to bring traffic to your website, but before you begin with your SEO campaign, it is suggested you do some research, consult an SEO specialist, and ensure it is a good match for your business. Choosing the right keywords is not an easy task. You can’t simply pick random keywords related to your services or products, but instead you have to do a thorough research before picking keywords. Otherwise your results will be less than ideal. There are many possible keywords for every search term. When you are researching for keywords, your main goal is to find the keywords that will bring in the most traffic. You should also make sure that the traffic is targeted to your business offerings. For instance, you have a small bookstore. You may think that ‘books’ is a good keyword, but that’s wrong! Getting traffic from such a general keyword would cost tens of thousands of dollars in research, content development, and other types of SEO. So here you should find a narrower and more localized search term. You can also try some strategy for increasing traffic to your site and leave search engine marketing altogether. Below are given some questions that you should keep in mind when doing a keyword research. What are the primary products or services that the site offers? Which keywords would the potential customers most probably use in searching for these products or services? Here you should note that when we talk about keyword competition, it is not necessarily the same businesses with which you are competing. There can be other websites that use the same keywords as you, but their product or services may be different than yours. You’re competing with them to get search engine traffic via keywords rather than competing with them in business. SEO can really boast the traffic of many small businesses. But the decision of pursuing or not pursuing SEO is to be made by individual business, considering how competitive keywords are within your industry, how many resources you can give to optimization, and the results of your keyword research. A successful SEO campaign usually begins with keyword research. You make sure you choose the right keywords! A little research can prove to be really helpful for you in deciding if search engine marketing and SEO is the right online marketing strategy for your business or not.